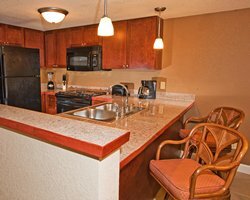 Vacation in the heart of Central Florida's famous vacation spot - Orlando! Legacy Vacation Club Orlando puts all the magic, sun and fun on your doorstep. Walt Disney World Resort, Universal Orlando, SeaWorld and many other attractions are just min utes away from the resort. You will also find world-class shopping, championship golf and family dining in close proximity. It is only a short drive to Florida's sand shores. 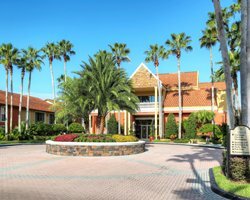 The resort has 4 pools, an on-site restaurant and cafe/coffee shop, activity center with daily planned activi ties for all ages, 9-hole miniature golf course, tennis court and sand volleyball. required to access units or within units. guest rooms to a smoke-free condition. permitted to park on the resort property.